Come and celebrate your New Year’s Eve with us. Mad Flamenco Orchestra will entertain you until the early hours of the morning with their unique and authentic rhythms. First count down is at 11pm for our Spanish family, don't forget your grapes and red underwear!! 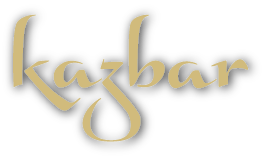 Then do it all over again at midnight to see in 2018 Kazbar style, doors close at 2am. Paz y Amor! !